This is a correct reproduction right front fender, with a notch for the stone deflector. Features a cutout for the marker lamp. 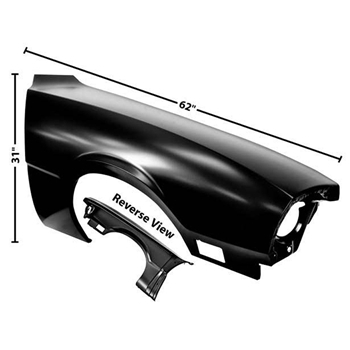 NOTE: This fender will also fit a 1973–77 Maverick / Comet, which did not have the notch. NOTE: This is an oversized item; additional shipping charges will be applied.